Want to hear something unsurprising? The Nissan GT-R50 by Italdesign is going into limited production. This doesn’t come as a shock because the Japanese manufacturer laid down some pretty heavy hints at the time of the car’s reveal, and at the Goodwood Festival of Speed, Nissan global sports car programme director Bob Laishley told Car Throttle that yes, 50 of the cars would be built. Now though, Nissan itself has confirmed the news, and also released a series of computer-generated images showing the lightly revised production version of the car. It follows the concept very closely, with only minor changes like larger wing mirrors. 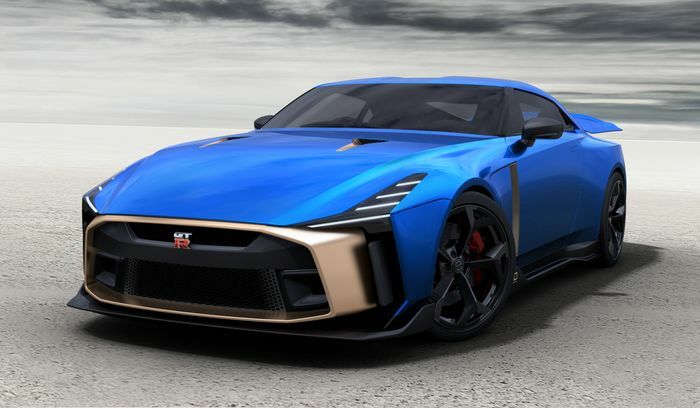 The power output from the 3.8-litre V6 is 710bhp, which presumably means - like the concept - it’s borrowed a pair of turbochargers from the Nismo GT3 version of the GT-R.
Not a fan of the rather bold gray with gold accents thing the concept had going on? Not a problem - Nissan says customers will have a choice over colour combinations for both the interior and exterior. Online reaction to the GT-R50’s styling seemed to be mixed at the time of the reveal, but we shouldn’t imagine that’ll stop Nissan quickly finding 50 buyers. 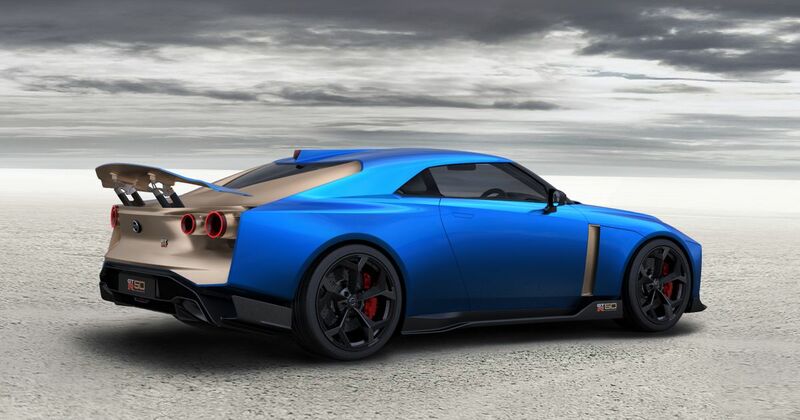 “The reaction from Nissan fans around the world – and potential customers of the GT-R50 – has greatly exceeded our expectations,” Laishley said. The price has risen slightly - the original expectation was for a starting price of around €900,000, but the actual cost will be €990,000 before taxes and options. In other words, each will go for well over a million.